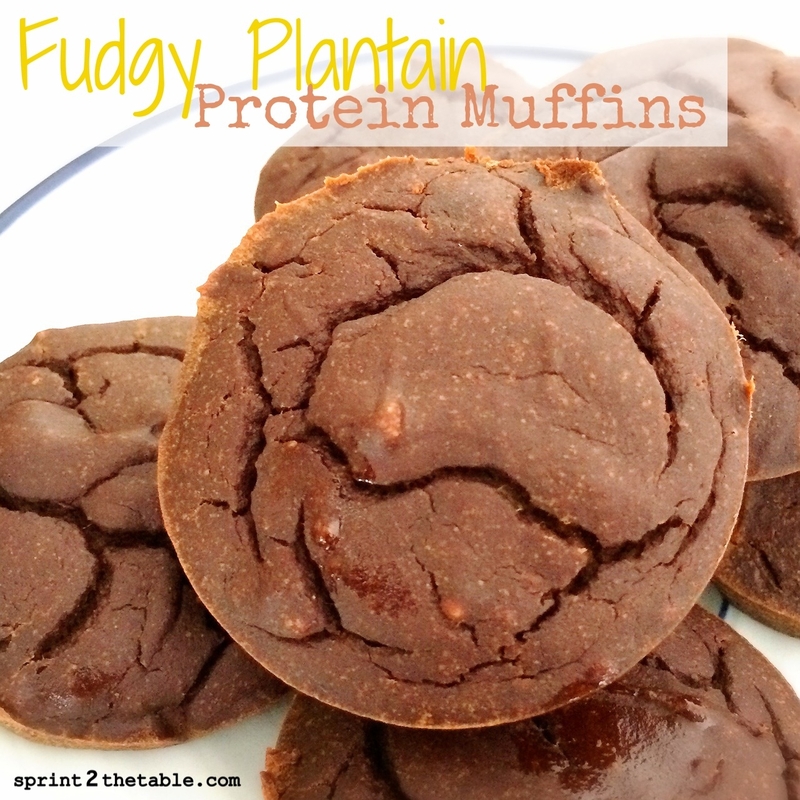 These chocolate plantain muffins are fudgy and richâ€¦ like brownies! Youâ€™ll feel like youâ€™re eating dessert, but without all the fat and sugar. Preheat oven to 350Â°. Grease muffin tin. In a blender or food processor, blend plantain, egg whites, and vanilla until smooth. Set aside. In a medium bowl, mix together dry ingredients. Stir in egg mixture. Gradually adding in milk, adjusting as needed (may vary depending on ripeness and size of plantain). Stir in nut butter. Pour the batter into muffin tins. Bake for 15 minutes, or until toothpick come out clean.